Do You Know How Rodents Are Entering Your Home? 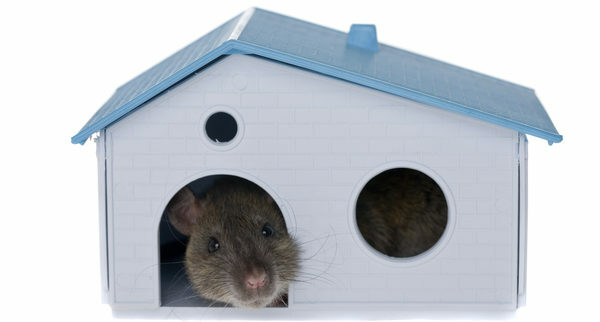 Do You Need to Rodent Proof Your Home! You might associate pest-proofing your home with the warmer months. However, it is not uncommon for rodents to seek out warm places during the winter. That could make your home a welcome environment for rats, mice, squirrels, and other rodents. This is why Bay Area attic cleaning is so crucial for local residents. What Harm Are They, Really? If the thought of a few mice nesting in your attic’s rafters doesn’t bother you, you may want to consider the damage that uninvited “guests” can cause. Rodents may chew through wiring, as well as the supportive construction materials in your home. Many pests also spread disease by contaminating food. They may also carry dangers in their fur, including ticks, fleas, and lice. You can implement several tactics to prevent rodents from entering your home this winter. First, make sure that all of the cracks on the exterior of your house are sealed. This will ensure that no critters can work their way in via openings in the structure. Remember that small animals may find shelter in wood and plants that are very close to your house. Attic insulation removal can help make sure these prone areas are cleaned periodically. The next step is to make their way from such temporary shelter to the interior of your home. If shrubbery and branches are touching your house, have them trimmed. Store firewood at least five feet above the ground, and keep it at least 20 feet away from your home itself. Eliminating or containing these things will help deter rodents from finding an easy passage into your residential space. If you have empty boxes stored inside or outside your house, break them down as soon as possible. If left untouched, they could create a warm, quiet place for small home invaders. Use preventative measures before it’s too late and you see signs of critters. You’ll then need to call local rodent control and attic cleaners to inspect the home. If you have any suspicion that your home has been invaded by pests, schedule an inspection by a professional. An expert can check wires and insulation for signs of damage, which could indicate an infestation. A pro can also check an array of areas for evidence of unwelcome visitors. Element Home Solutions provides several services, from rodent proofing to attic insulation removal. Contact us today HERE or call us at (888) 980-4822 for more information on how our team can serve your Bay Area household.